England and West Indies had the honor of playing the first day-night test match as they took the pitch for the fast match of the three match test series at Edgbaston. The match also sees the pink ball replace the red one to increase visibility and adapt to the conditions better. Winning the toss, England decided to bat first and continued their purple patch from the South African series as they made easy work of the West Indies to reach 348-3 after their 90 overs on Day 1. England began their first ever day-night Test at home in style as they scored 348 runs for the loss of only three wickets on day one against West Indies. Despite a few early hiccups , losing two wickets for only 39 England captain Joe Root and former captain Alastair Cook scored centuries each. 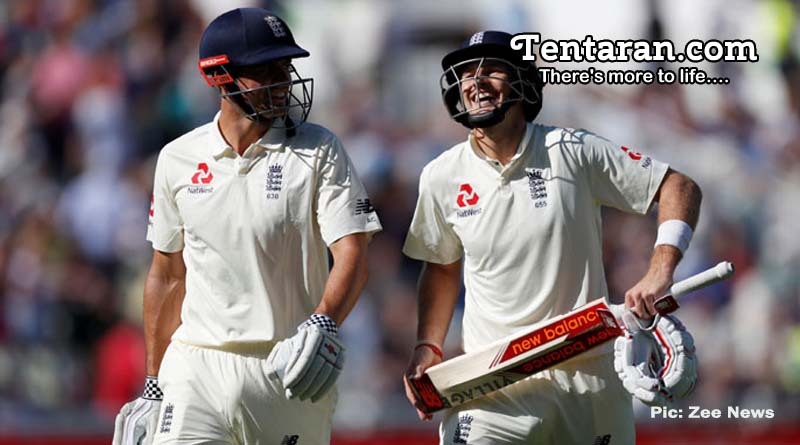 They also went on to share a mammoth 200-plus run stand for the third wicket to solidify the English innings. Cook ended the day not out on a brilliant 153. Joe Root on the pink ball: “Generally, we found the older it got, the easier it was to see. The twilight period didn’t go well for me but for the guys at the back end there – that seemed to be the danger period in other games, and the guys at the end did really well.